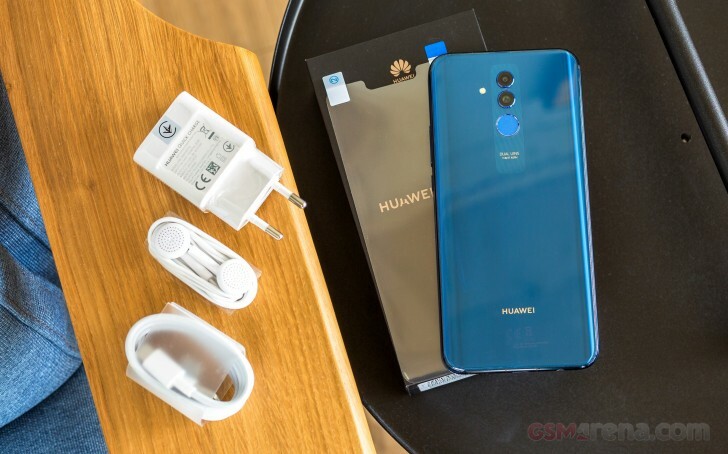 A Mate 20 before the real Mate 20s are out that's lighter on your wallet but not light on features - it's the Huawei Mate 20 lite. While waiting for the big boys, we figured we'd give this midranger a go. As with previous Huawei Lites, the Mate 20 edition packs one of the company's mid-tier chipsets, but this time it's a new one - instead of the ubiquitous 659, it's now the 12nm Kirin 710 that swaps out 4 of the Cortex-A53 cores in its CPU for the more powerful A73 variety; a new GPU is also part of the 710 bundle. The Mate 20 comes with a 20MP f/1.8 primary cam instead of the 16MP f/2.2 unit found in the latest Lite, the P20. On the front, we now see a 24MP f/2.0 camera for selfies, as opposed to the P20 lite's 16MP f/2.2 module. Each of the Mate's high-res shooters is paired with an extra 2MP unit for depth detection too. Like the true Mates, the 20 lite has a large display - in this case a 6.3-inch FullHD-ish panel in a 19.5:9 aspect, complete with the mandatory notch. Mandatory for a Mate, this Lite one has a generous 3,750mAh battery - couple that with the 12nm SoC and we're in for some pretty good endurance. Body: Aluminum frame, glass back, 158.3 x 75.3 x 7.6 mm, 172g. Display: 6.3" IPS LCD, 1,080 x 2,340px, 19.5:9 aspect ratio, 409ppi. Front camera: Primary 24MP, f/2.0 aperture, 26mm equiv. focal length; fixed focus lens; secondary 2MP depth sensor. Chipset: Kirin 710: octa-core CPU (2x2.2GHz Cortex-A73 + 2x1.7GHz Cortex-A53); Mali-G51 MP4 GPU. Memory: 4/6GB of RAM; 64GB storage; microSD card slot (hybrid). 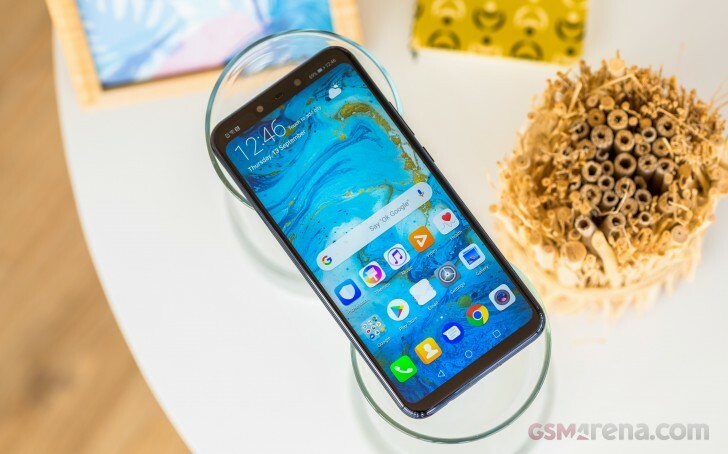 It's looking like a solid midrange package the Mate 20 lite, but let's first check out what's in the actual package. The Mate 20 lite comes in an understated black box with the name of the phone printed on top and on the sides of the lid. The phone's on top and underneath it there's a paper sleeve containing one of the thickest quick start guides we've seen lately (it's in a lot of languages), but also a screen protector. Remove that and you'll see the charger labeled Huawei Quick Charge. That's not to be confused with the Huawei Super Charge adapters that you'll find bundled with the company's proper high-end models, but it's still rated at 9V/2A, so there is some form of rapid charging involved. There's also a USB-A to USB-C cable and in a separate compartment you'll find a pair of basic earbuds to get yourself started. Huawei honor play/Poco phone are 350 euroes.This phone as well.Way worse chipset and worse camera.Not even a metal unibody for heat dispersion or heat sink/water cooling.Total failure price for a mid ranger. What do you guys wolud prefer? this are my options and camera is important: P10 - Mate 20 lite - Moto G6 Plus - Iphone 7 What would you choose?